I was filled with dread at such a responsibility, but excitement at a product that could offer some great assistance in the Deer management world, more specifically, the tracking and recovery field, which is a massive part of Deer management. The conscientious Deer stalker aims to cause no harm, and the feeling of a beast that has run from the shot site is one that no one enjoys, but unfortunately, is inevitable at some point. 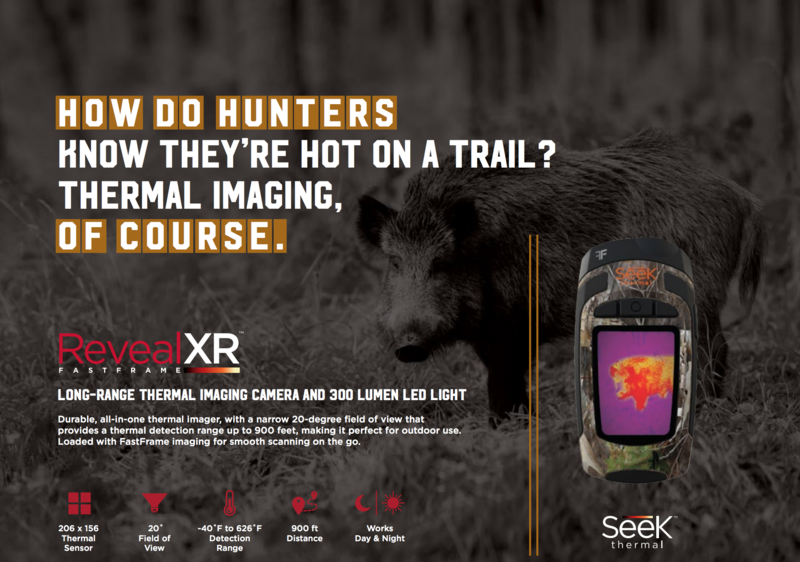 The Seek Reveal XR Fast Frame could help you in your search for that very animal. I don’t aim to review the Reveal XR FF in the survey and census role, leave that to the semi pro imaging units such as the Pulsar and Guide systems, but Seek bring us a unit that could be of great use in Deer track and recovery. However, the ability to inspect the shot site for blood spray and warm matter is a great thing, and actually, seeing what the naked eye can’t is where the Reveal XR FF could earn its place on you belt or in your pack. 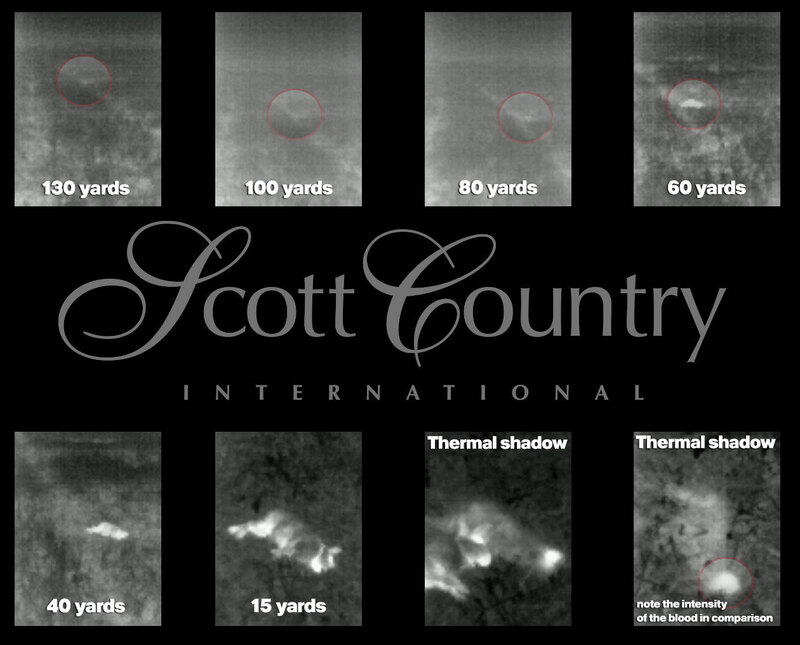 What is Thermal imaging and why does it work for a hunter? If I were to throw the sentence “detection of electromagnetic radiation generated by the thermal motion of charged particles in matter, through charge acceleration and/or dipole oscillation” I would probably bore the majority of those interested in this article, you’re here after all, to read about a thermal imager for Deer tracking. However, it is by understanding this that we understand the limitations of the units that are on the market today. Put simply, a thermal imager looks at the infrared spectrum, including the visible light range, and converts the thermal energy signature into electromagnetic energy to display on the screen of your imager. Anything with a temperature above absolute zero or -273C (ish), gives off a thermal signature. The thermal imager then converts that into a picture to display to the user. Simples… and used carefully can be a great piece of kit to add to your collection. Technology and Deer are seen in two different hemispheres, there are those happy to embrace the use of more modern techniques for census work and Deer recovery and there are those that will not entertain the idea. Undecided on which camp I sit in, when Paul asked me to look into the use of these units in Deer management employment, I thought it the ideal chance to convince myself one way or the other. Initial impressions of the unit were good; a quality, robust feel to it with tactile buttons, which are easily used even when wearing gloves. 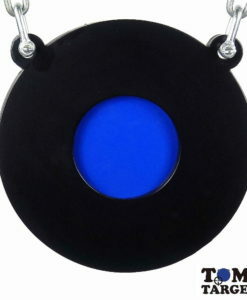 A simple 3-button interface makes it easy to use even for a club fisted giant such as myself. I tested the camouflage unit, and there is also a black finish available, both of which are easy to lose and extremely difficult to find, however, subdued aesthetics aside, in the box there is a lanyard to attach the Reveal to your wrist, a must for some hunters that I know! Boasting 900ft, 300yds, 274m detection range, Seek will have you believe that the unit is going to detect anything in a 20 degree field of view out to those ranges. 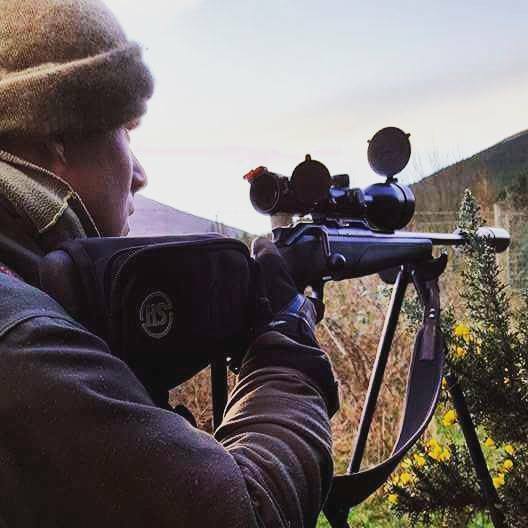 A man at 274m is achievable, but when testing the unit, all be it on a cool summers evening, the practical thermal spotting that a hunter or tracker may need is slightly less than the figures stated. That said, it doesn’t make it impractical for the role in which I am testing it. 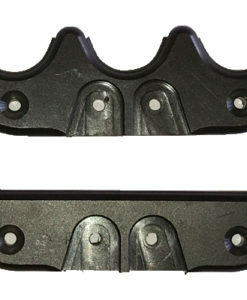 easily covers that of ejected matter or blood splatter. easily coping with anything the wild outdoors can throw at it. For a beast that has gone down and then subsequently fled the scene, the heat transfer shadow is easily visible much the same as these photos here, with the first being my hand on the desk, and the second being the shadow I’ve left by heat transfer onto the surface of the desk. For the discerning pest controller, I then took some images of a shot rabbit, and these help me to display some of the pros and cons as I see them. For recovery of a shot animal, you want to be able to see the animal or the spot you’re walking to throughout the approach, this is ever more important when dealing with larger animals such as Deer and boar as the safer you can make your life, the better. 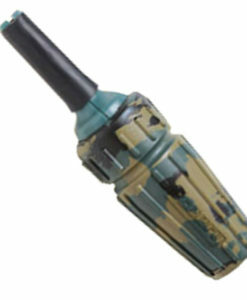 Using the Reveal, one slight weakness is the heads down way in which you need to operate it. 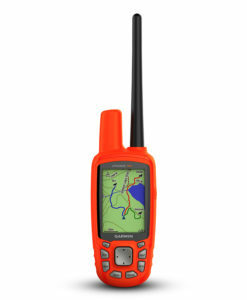 When tracking, the tracker needs to be observing ahead at all times, as well as checking the ground underfoot and looking for sign as they move. The Reveal’s top mounted screen means that the tracker is looking downwards, whilst the thermal sensor is pointed forwards, which draws the attention of the tracker to be heads down looking at the unit, not always the most ideal. It is also not very covert, with a bright backlit screen illuminating the torso of the tracker, which could give away the tracker to a wounded animal sooner than is perhaps ideal. I do however think that for a beast couched in undergrowth, or expired in a tree line, the Reveal again would come into its own. Often I have followed the dog into a treeline on hands and knees as she follows the route that the beast took. It can be a time saver to survey into said tree line using a unit such as the Reveal XR FF to check for heat before clambering about through the thick stuff. I would never say to discount the work of the dog, but a combination of dog and thermal could be an ultra efficient way of tracking a wounded animal. I think that gives a balanced argument for the units in the Deer-tracking field. Someone who uses their dog to the full range of its abilities, and is passionate about that, still has positives about thermal imaging. There will always be pros and cons for any unit out there, the key is being able to use the units in relation to your experience, your competency with the imager, and the confidence that you aren’t going to distress an animal further by pushing it on, hoping that the thermal imager will lead you to it. In summary,I think it’s clear that thermal imaging can be a useful ally when it comes to Deer management, and we will see, as this feature goes on, what the larger spotting units have to offer in terms of wide area scan and census work. 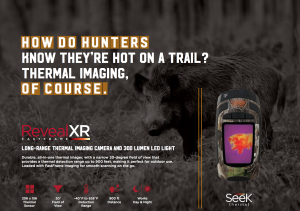 The Seek Reveal XR FF is a small, pocket sized, budget (£419.95) thermal imager that has its limitations, but is effective in the battle against lost, injured animals. 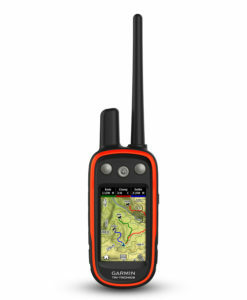 It’s ideal for spotting fresh blood trails, tracking shot quarry across various terrains and for searching out a beast that has run on into light cover. It will see the smallest of heat signatures out to a suitable range for tracking and indicate that “something” is there for you, and the Reveal will also lead you onto a downed animal once you’re in the general area. 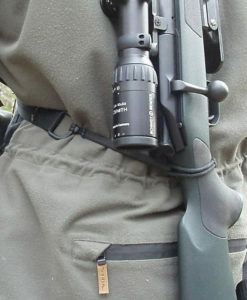 This unit is not however, suited to the wider uses of Deer census and counting, or for searching across long distances. The units that we look at over the coming months will no doubt offer strengths in those areas, and weaknesses that the Reveal can overcome. Over the coming months we aim to bring you the gloves off truth about the different thermal imagers available to the Deer management world, from census and cull planning, to tracking and follow up of shot or lost quarry. Look out for our next article, featuring the Pulsar XQ19 from Scott Country International from Scott Country International.